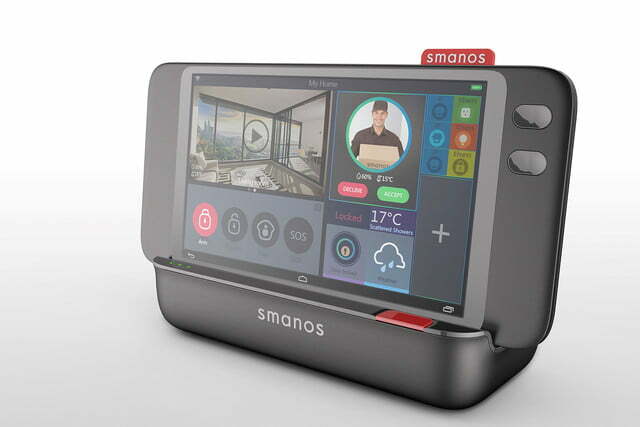 Amsterdam-based Smanos, a wireless security and smart home component company, introduced a new unified smart home controller at CES 2017. The All-in-One Touchscreen Home Controller has a 7-inch LCD touchscreen for viewing security camera video, as well as data from other connected security and smart home sensor and monitoring devices. Connections and compatibility are central themes of the All-in-One Touchscreen Home Controller. Compatible with Wi-Fi and Z-Wave wireless technology devices, the Smanos Controller, which serves as a control panel and monitoring station, also allows you to connect to thermostats, lights, locks, doorbells, cameras, and security sensors. Separate slots for a 3G or 4G cellular SIM card and a memory card let you store monitored data in the cloud, locally, or both. The Smanos controller also works with Amazon Echo, Nest, and Z-Wave door locks. With cloud storage, you can use the Smanos iOS and Android-compatible mobile device app to monitor and control your home systems from any location. The controller has a standard backup battery, with automatic alerts when the power fails. There are no monthly storage charges or service fees associated with Smanos devices other than the normal cell phone or text charges. In addition to monitoring your home security system and acting as a central smart home device command center, the Smanos controller has integrated temperature and humidity sensors. Current readings are displayed continuously on the device and can be viewed via remote devices, making it highly useful when you travel or go on vacation. It can also monitor a vacation or second home. If the temperature or humidity vary beyond preset ranges, remote users are alerted via the smartphone app. 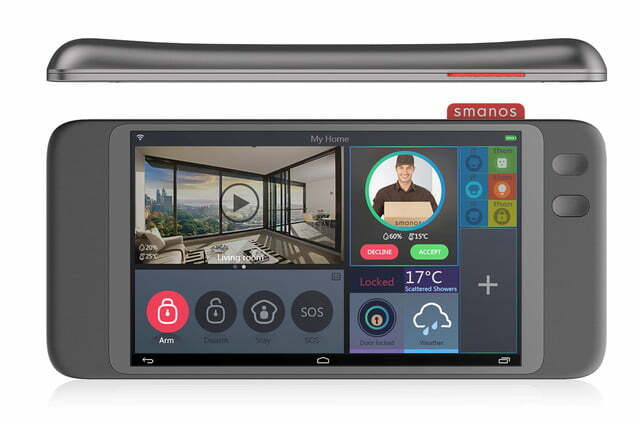 The Smanos All-in-One Touchscreen Home Controller is scheduled to become available in the third quarter of 2017. Pricing has not been announced. Can a kill switch prevent terrorist attacks like the ones in Berlin and Nice?